The Beginner's Guide to Short Video is an 18 page ebook that helps bloggers dive into the world of short video creation, publishing, and promotion. Short videos that run two minutes or less can yield huge gains on social media. Understand how to make these short clips, learn where to upload them for maximum exposure, and start shooting video today. Short videos are a great stepping stone into the video world for all bloggers. You can shoot many of these with just your hands and overlay music. No more cringing at the thought of hearing your own voice! Try a few videos using just your smartphone and a few apps. As you gain more experience, you can invest in more equipment for a more sophisticated setup. Youtube is the number two search engine in the world ,and the only way to be discovered is to start uploading your videos today. Learn how to optimize your Youtube channel and to harness the power of video. 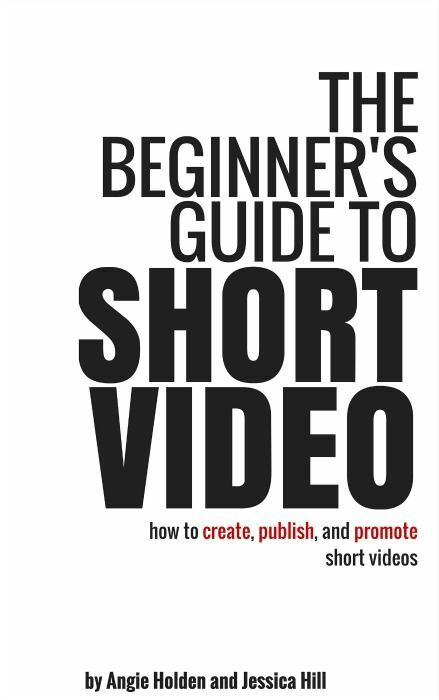 The Beginner's Guide to Short Video is an 18 page ebook that helps bloggers dive into the world of short video creation, publishing, and promotion.